That appeal fell on deaf ears it seems as the continuation of the Third Sitting of the Third Session of the Third House of Assembly on March 23, 2018 was delayed for over an hour and a half due to a lack of quorum. At least 7 Members are needed to have a quorum in the HoA. 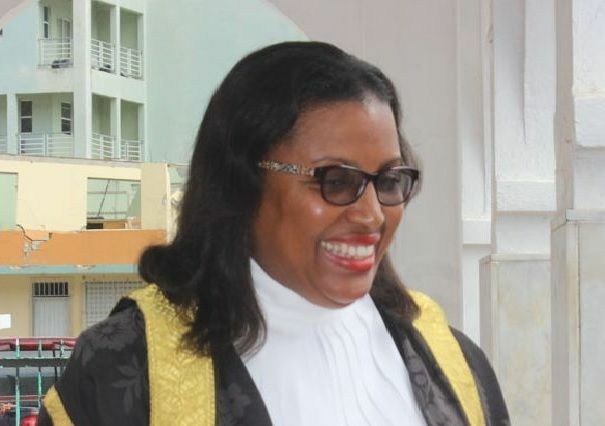 “I think that is totally unsatisfactory, and I must say disrespectful to Members, myself included, and the general public who expects that sittings will start promptly at 10 ‘O’ Clock when it is supposed to begin,” Speaker of the House Hon Ingrid A. Moses-Scatliffe remarked. At the scheduled 10:00 A.M. start there were not enough Members to make a quorum and the punctual Members had no choice but to wait until other Members came to get the session underway. “I had formal notice from three members concerning attending a funeral. We had six, that remains four members who I had no information on and in order for us to begin this morning one of the persons from the funeral is now here, which is why we are able to now begin, along with another member. “Having said all of that I am asking going forward that we make a concerted effort to respect the House and to ensure we are all here on time to do the people’s business,” Hon Moses-Scatliffe urged. The HoA is scheduled to resume today to continue the debate of the Bill entitled: ‘Virgin Islands Recovery and Development Agency Act 2018’. Meanwhile, Hon Fahie had also on March 1, 2018 asked Speaker Moses-Scatliffe to provide the House with a time and attendance register for the HoA Members, which will reveal those Members who continue to arrive late for a sitting. “It will give a true picture of what’s happening,” Hon Fahie said. In response, the Speaker of the House had emphasised that Hon Fahie’s complaints were noted, while urging the members of the House to respect the time of sittings. Shut your 'arm. How can you invite a country to exploit and rule over us again knowing the history of the UK and Europe on the Caribbean? If you knew your history you would not be talking this piss. A people without the knowledge of their history will go right there again...start reading. Start to fine them and you will see they start coming little earlier as we know they can come up with genius excuses. As a Bvi lander I'm disgusted by this small minded attitude, especially after Irma! Be careful what you wish, if we don't get this money, things will get much worse for much longer. If the majority of people leave, you think the 10,000 of us "locals" could provide all the goods and services needed? Get real! People who respect themselves. Find it easy to disrespect others. Showing up late Have others waiting. Insults to others in the house. Didn't even heard one member say thank you UK for the offer but you have to come better. Some of our politicians think that they bigger than life..
Start making them pay a fine when they show up late. They have no concept of RESPECT for anyone. Start hitting them with fines. Ie. .. $100.00 each time they are late.